Pompey fans have been getting in touch with The News after Mark Catlin revealed the Blues will remain at Fratton Park for at least another five years. In our interview with the club's chief executive, Catlin admitted that was the plan, irrespective of whether the much-anticipated stadium masterplan favours a new home. Since the Michael Eisner takeover in August 2017, Tornante’s head of acquisitions and investments, David Fields, has been heading the assessment into Fratton Park’s future. Highly-respected architects have also been consulted during the process, as the owners agonise over remaining or constructing a new ground elsewhere. Fields’ findings are not expected to be revealed until around August. 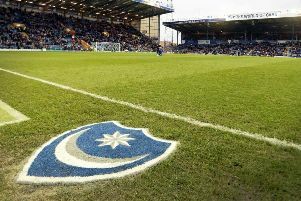 Until then, fans have been expressing their opinion on the future of Fratton Park on our Facebook page Portsmouth FC - The News and portsmouth.co.uk. In five years time what is probably the best site for a new stadium which fits all the criteria will probably be gone. That location is Tipner which meets the most important target of keeping it on the island. Planning for housing and commercial premises already approved so that's a non-starter John. Plenty of room at FP. Turn the pitch and extend Northward. So nothing structural will happen now then. They are not going to build new stands and revamp now if they see a future away maybe after 5 years. So we're left with it as is, apart from more tarting it up. They've already said it would remain within a 5-mile radius and in a PO postcode if moved. If the stadium ended up being built in a slightly different location then potentially it may be a little more difficult for fans who live close to the ground to get to. However, we all love the team so would travel to where ever we had to, as long as it meant we could watch Pompey! I'd like Fratton Park to be redeveloped but if the best option was for a new ground only a short distance away then I'd trust Catlin and Co and go along with it. Any new ground would need to be easily accessible by train as not every 1 lives in local area. As much as I love FP, it must be time to build a new, bigger, multi-use stadium with better and more comfortable facilities with better access - even if it is off the island. BUT it MUST stay as close to the city as possible and the city council should be supporting the club to ensure a suitable venue is made available quickly. Clearly we need more income than FP can provide in order to be successful. If Portsmouth FC were moved outside the city I think there would be a huge void in people's hearts. It would have to be no more than 5 miles away and without an SO post code. Part of any study should include the demographics of the fan base. Thousands of fans actually walk or bus to the ground from within the city, if the ground is moved outside of Portsmouth I believe the club would lose a huge swathe of supporters. How far does the club move before it is Portsmouth in name only and of course the club needs an identity to help the franchise according to Eisner so lets change the name to Eastleigh and Portsmouth Utd or Bognor/Portsmouth etc..
Just being the devil's advocate here, but it's worth putting it up for discussion. OK, but I think it would be appreciative if some of the ideas were outlined in some way. No Pompey fan would hold them to their exact word. Football is a business I know but you should communicate with your fans. We all like to dream.